Already, this hurricane season is proving to be one of the most serious the United States has experienced in years. With one record-breaking storm approaching the United States this weekend, and another on its heels, many are evacuating their homes, and everyone is getting prepared. Hurricane season doesn’t come to an official close until November, and although we can’t always predict the strength, path, or destruction, we can do our best to prepare for its arrival. This is especially true if you live in a coastal city. Should the situation arise in which you need to evacuate with your family, decide in advance where you will go, as well as how you’ll get there. Make sure to have a back-up route, as traffic can become chaotic during evacuations. 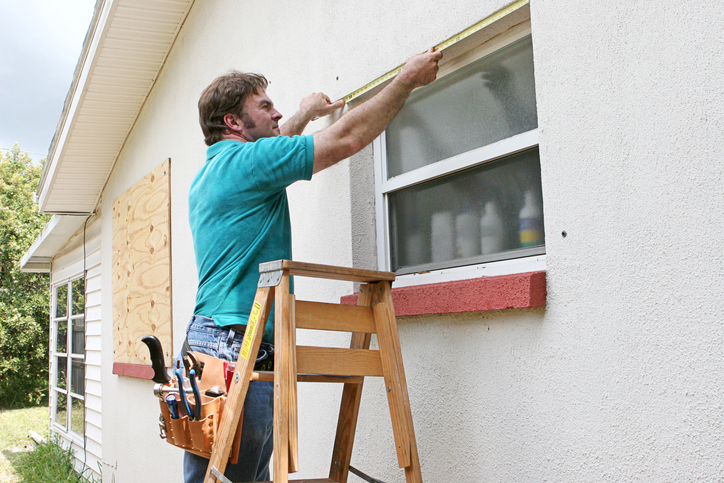 Create shutters ahead of time and have a few tarps should you incur tree damage to a window or the roof. By being prepared for damage, you can prevent the damage from getting worse. It’s one thing to have a generator. It’s something else entirely to know how to use and troubleshoot it. Before you need to utilize a generator, chainsaw, water pump, or any other piece of equipment, make sure to read the owners’ manual to ensure that you understand the proper use. Also, make sure all of this equipment is functioning properly prior to the storm. Have a plan for Fido. In this year alone, we’ve seen some pretty devastating footage of abandoned pets. Know in advance that not all shelters will accept your furry family members, and identify those that will so that you know where you can go. Obtaining gas or fuel during a hurricane can be a nightmare. If you know you’re in an area likely to be hit or where power outages might occur, stock up on fuel well in advance to ensure that you and your family have the amount (and type) of fuel you need before the storm hits. Most importantly, stay safe, friends. Our thoughts are with everyone who has been affected by this devastating hurricane season thus far.